Lakeside Wesleyan Church, in Lakeside, California was the first church I served as a staff member. 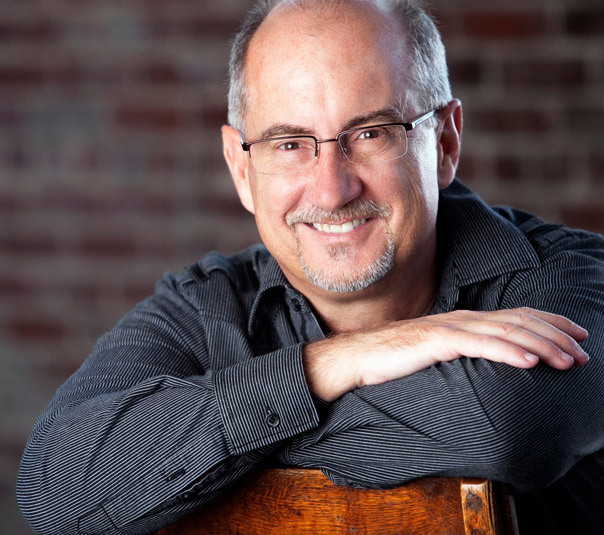 It was a small church with a big heart, and I learned much from Rich Lauby who was the pastor. In my eyes, Pastor Rich was a “big leader, ” and his early investment in me made a life changing difference. Under his coaching, I preached my first sermon, did my first hospital visit and led the student ministry. The significance of a leader and especially the pastor in a small church cannot be overestimated. Like Pastor Rich, the leader sets the pace for the rest of the pack! He or she sets the vision, takes risks and influences the other leaders and volunteers. And we all know that next to the favor of God, everything rises and falls on leadership. In the previous post, I offered Five Helpful Words that focused on the church itself. 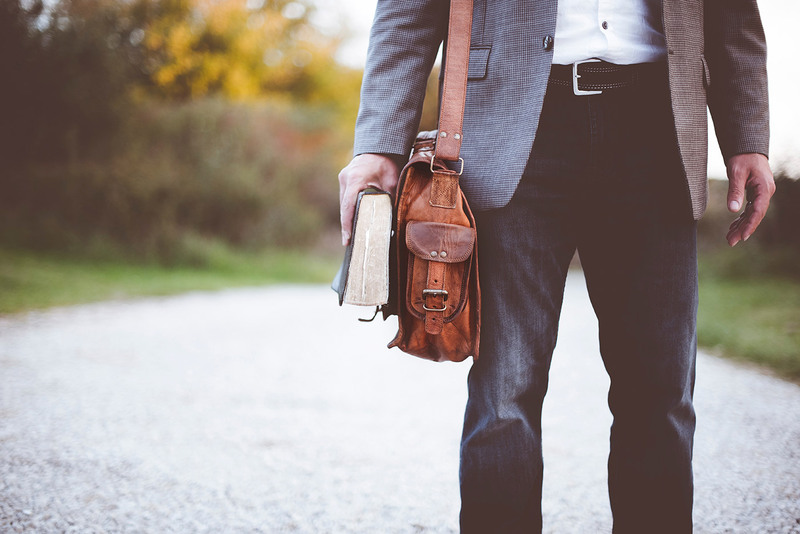 This post offers Six Helpful Words for the leaders of the church. When you face a fear or take a risk, it doesn’t matter if you have 50 or 5,000 attending your church. Whether you are at the edge of your budget or need to confront a board member, it feels the same regardless of the size of your congregation. The difference is the size of the leader. Leaders grow by gaining courage. It may sound strange, but you have to practice courage. You can’t read about it and get it. You can listen to a talk or read something and be inspired to do what you need to do, but you don’t really gain courage until you take action. What is before you today that requires courage? Think of pouring into your leaders like consistently depositing money in a bank account and leaving it there. At first, it doesn’t seem like much, but in time the dividends are substantial. That’s how leadership development works. Starting small is ok. In fact, that’s a good idea. Leadership development is not an event oriented program in which you see how big a crowd you can draw. Here’s how you start. Gather your top 5-7 leaders. 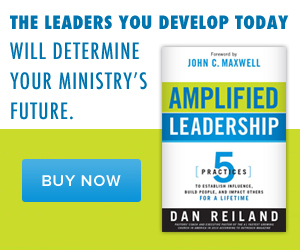 Pick a good leadership book, like John Maxwell’s Five Levels of Leadership. Meet monthly (for five months) and ask these two questions. 1. What are you learning? 2. How are you applying what you are learning? That’s it! In time you’ll have other groups and add to the learning experience, but simplicity and consistency are essential to the process. For more depth and detail, see this post. Good leaders have great faith. Click To Tweet This thought has humbled me over the years because I don’t know that I always have such great faith. But God is kind and grants favor for belief even the size of a mustard seed! I’ve learned it’s not just how big my faith is, though that matters, it’s more about the source of my faith. The fact that I trust God for my daily breath and bread, and for every moment of leadership favor, leads to my own increasing faith. I think that is true for you too. You have faith in God for your salvation. You know His grace and love. That’s the foundation you build upon to see Him do great things in your church through your leadership! What are you good at? That’s the question all leaders must grapple with. What is the strength of your leadership? Are you a good communicator? Perhaps you’re more of a developer? Maybe you are a fantastic administrator, or you are really good with people. Are you a visionary with great ideas? No leader is good at everything. So figure out what your strength is and lean into it. Improvement is always worthwhile, but don’t try to be great at something that’s not your gifting. Surround yourself with others who can buttress your weaker areas. Let me address one specific area. If you don’t consider yourself to be a great speaker, how do you fix that? First, speak shorter, about 25 minutes is good. Second, let others teach too, perhaps 12-15 times a year. We all want our people to mature in less time, we want the budget to increase quicker, and our church to grow faster. But it doesn’t work that way. Even for churches that seem to experience explosive growth, I promise some things challenge the patience of the leader. You can’t “make” your church grow. You can do the right things like pray, encourage, develop leaders, share your faith, invite people, and teach God’s Word. It’s important to remain consistent in those things, with passion, but also with patience, because ultimately the harvest is up to God. It’s curious to me that we don’t often talk about leadership and love in the same context. Love is at the core of the gospel and certainly the driving force of our leadership as well. It’s the great source of your (God’s) power for your ministry. God’s love for you is extraordinary, and the core of your leadership is based on that love. No matter how tough it might get, or how blessed you might be or discouraged you might become, God calls you to love people. Take time to reflect on God’s love for you. It’s surprising how easily we can lose sight of that on a personal level when constantly in the trenches of ministry. Let that love flow through your leadership. My prayer is that will continue to bless you and your leadership! Previous PostSmall Churches Can Do Big Ministry!